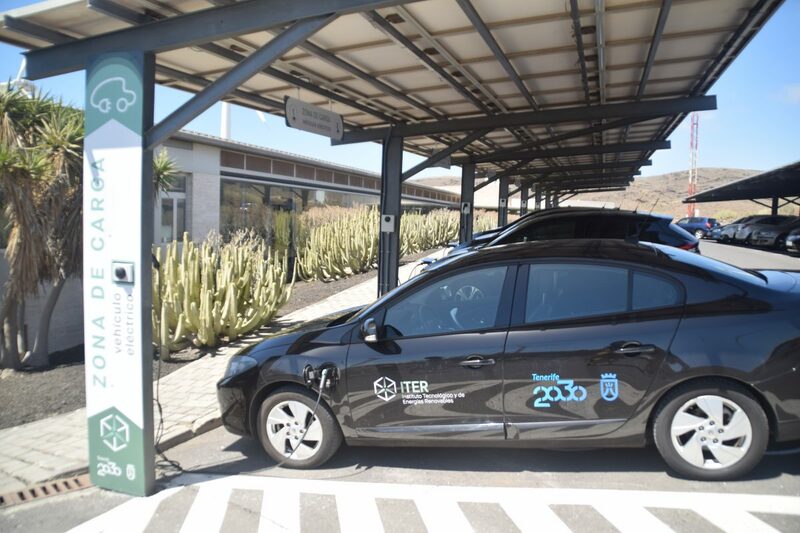 ITER provides the electric vehicles users with 19 new free charging points – ITER – Instituto Tecnológico y de Energías Renovables, S.A. The recharge points are located in the parking lot of the main building and are equipped with a total charging power of 166kW. The Institute of Technology and of Renewable Energies provides the citizenship with 19 new charging points for electric vehicles. 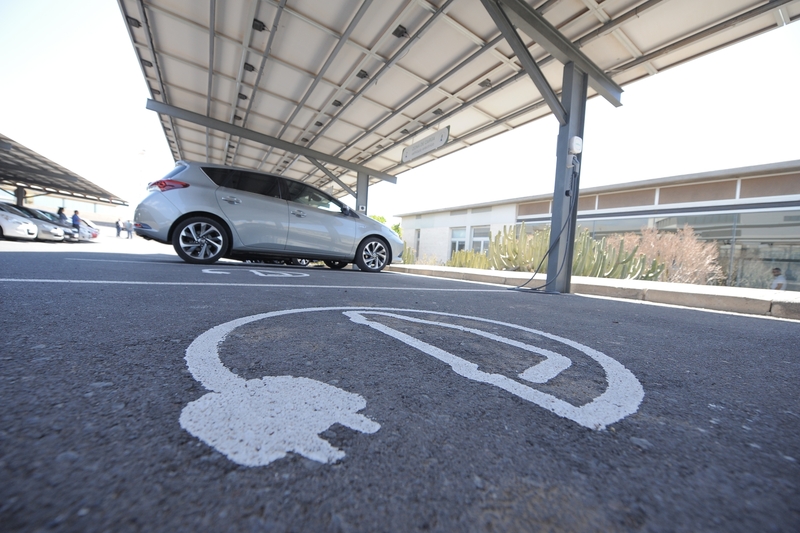 Anyone who wants to make use of these free charging points can access ITER´s facilities and charge their car in the new parking area reserved for electric vehicles. The 19 charging points are located in the parking lot of ITER´s central building and have a total capacity of recharge of 166 kW, allowing three of them the quick charging of vehicles. The new charging points are part of the set of actions that the Council is launching to promote the electric vehicle and charging infrastructure in order to optimize the demand curve in Tenerife through the Insular network of electric vehicle fast recharging points, which foresees the installation of 415 charging points on the island during the period 2016-2020. For more information please contact through the contact form found in ITER´s webpage.